Porsche is the world's foremost manufacturer of sports cars, and has been defined since the very beginning by motorsport. Patrick has been a Porsche factory driver since 2003, during which time he has won three ALMS championships, the 24 Hours of Le Mans twice, and contributed to multiple manufacturer's championships. What began as the hobby of a motocross racing teenager named Troy Lee, painting helmets in his parents garage for his friends, has grown to become recognized as the premier custom helmet paint shop in the world. TLD is the place where "The World's Fastest Racers" go when only the best will do. Patrick has been a TLD athlete since 2006, representing the Southern California racing culture from Le Mans to Baja, Bathurst to Spa, and everywhere in between. Base51 is LA’s newest entertainment attraction, putting you in the world’s fastest race cars on the world’s most challenging race tracks and all while being able to enjoy some of LA’s best craft beer & global inspired cuisine. Featuring 10 networked Pro level & full-motion racing simulators paired with the latest in Virtual Reality technology. 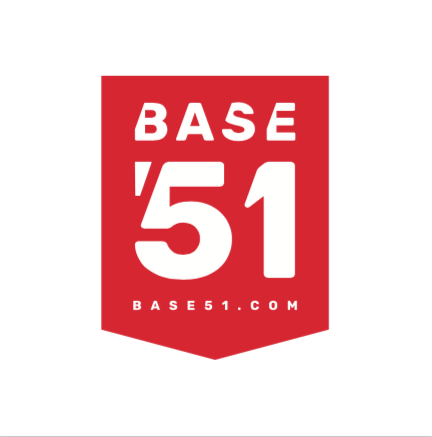 Base51 offers a tailored racing and dining experience for any occasion, private parties, events and corporate entertainment.